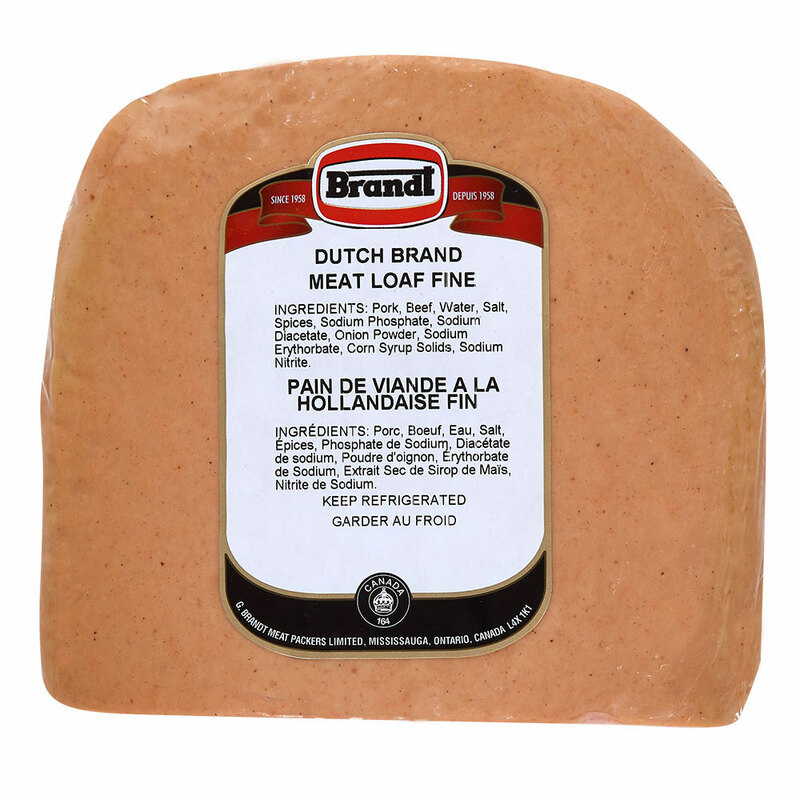 Our baked Dutch Meat Loaf is crafted in the European style using pork and beef. It is rich in flavour and has a fine texture. 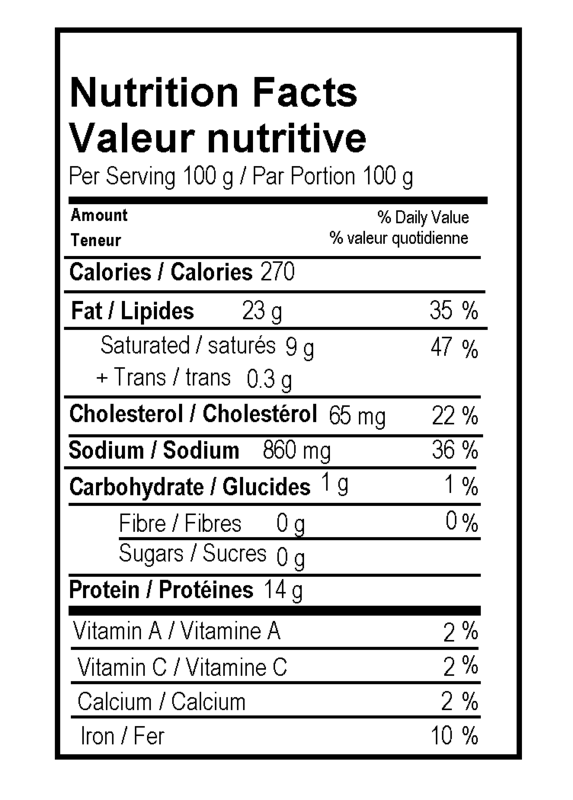 Pork, Beef, Water, Salt, Spices, Sodium Phosphate, Sodium Diacetate, Onion Powder, Sodium Erythorbate, Corn Syrup Solids, Sodium Nitrite.